The command center has a positionable satellite dish on the roof for. 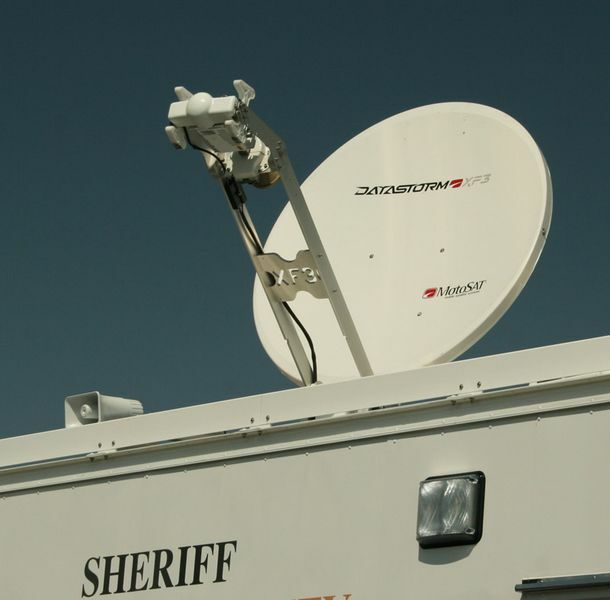 Communications include satellite, radio, cell, internet and TV reception. Loudspeakers allow people inside to make loud broadcast announcements to anyone outside. Powerful 500 watt outside lights provide night lighting.